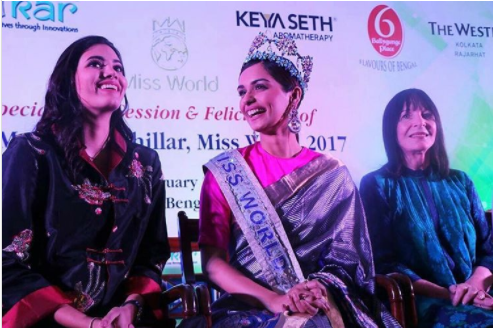 Miss World Manushi Chhillar on a ‘Beauty With A Purpose’ tour with her ‘Feminine Hygiene Awareness’ campaign. She is currently four days into the tour and has visited Hyderabad, Kolkata, Siliguri, and Delhi. The Beauty with a Purpose program is a, a non-profit organization associated with Miss World, raising money for humanitarian projects. 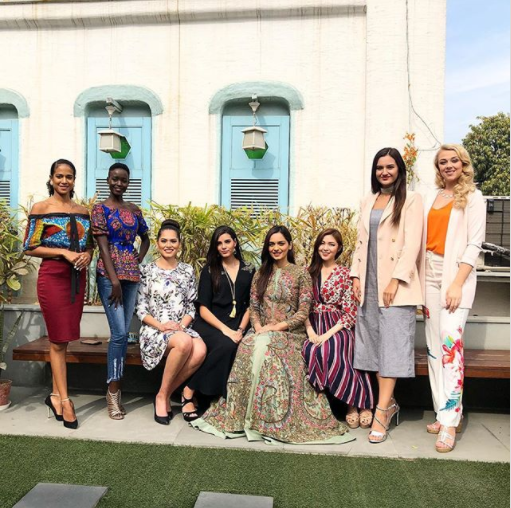 The other four winners from Indonesia, Vietnam, South Africa and the Philippines are also in the Beauty with a Purpose project. For her Miss World title has lots of responsibilities towards the world and her country. She is a former medical student and discussed on menstrual hygiene at the Miss World contest. She is moving city-to-city spreading the message that ‘Freedom From Shame’ of menstruation is important for healthy women. To break the taboo around menstruation, Miss World chairman-CEO Julia Morley explained how the organization is “taking the initiative ahead” and making it possible for scores of people in the rural areas to be able to access sanitary napkins. Haryana chief minister ML Khattar announced that he would be making sanitary pads free for all girls in the schools run by the state government. She went on to meet kids from the slums of Kolkata, talking and spreading awareness on menstrual hygiene. She went a step ahead with giving a hand to making a jute sanitary pad at the Indian Jute Industries Research Association in Kolkata where they are making biodegradable and low-cost sanitary pads from jute.